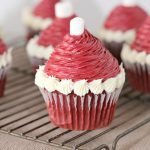 These quick and easy Santa Hat Cupcakes are the perfect holiday dessert for your Christmas Party. 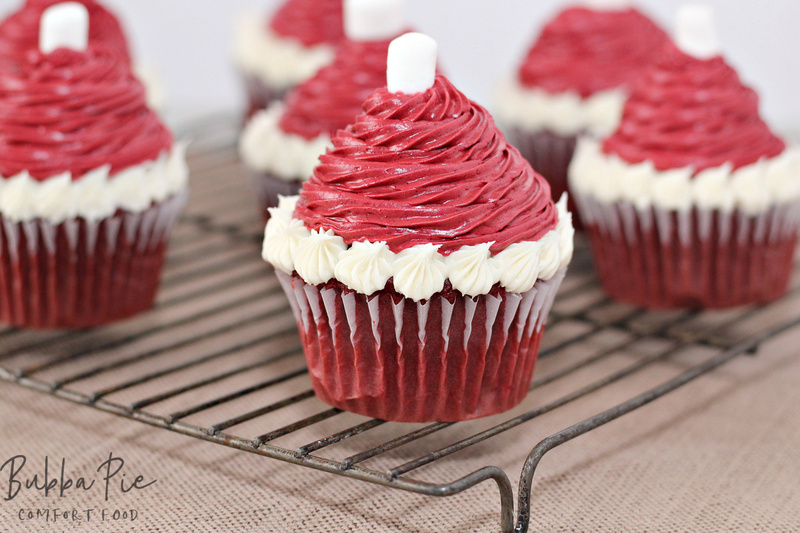 Spread the Holiday cheer this season with these super cute Santa Cupcakes. 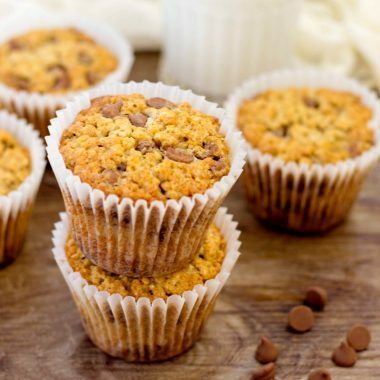 LOOKING FOR MORE FUN DESSERT RECIPES? CHECK OUT MY ZUCCHINI CAKE AND MY BANANA BLUEBERRY MUFFINS! This is the time of year when I am always looking for Holiday desserts to make. 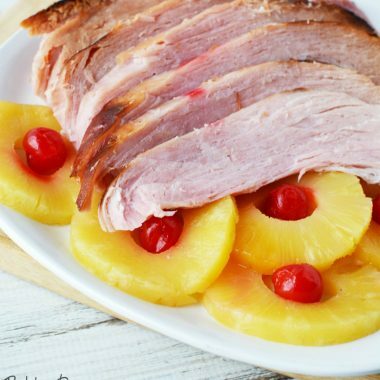 Whether it is a big family dinner, a neighborhood party or a pitch in at work, having some easy dessert recipes up my sleeve definitely helps this time of year! There is some common holiday treats that we all see this time of year. 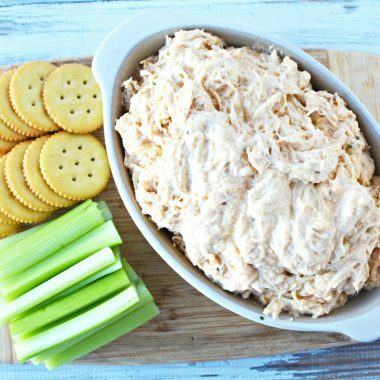 While everyone loves the “Christmas Crack” and peppermint bark, it is fun to find something a little different to bring that will really take center stage on the table. 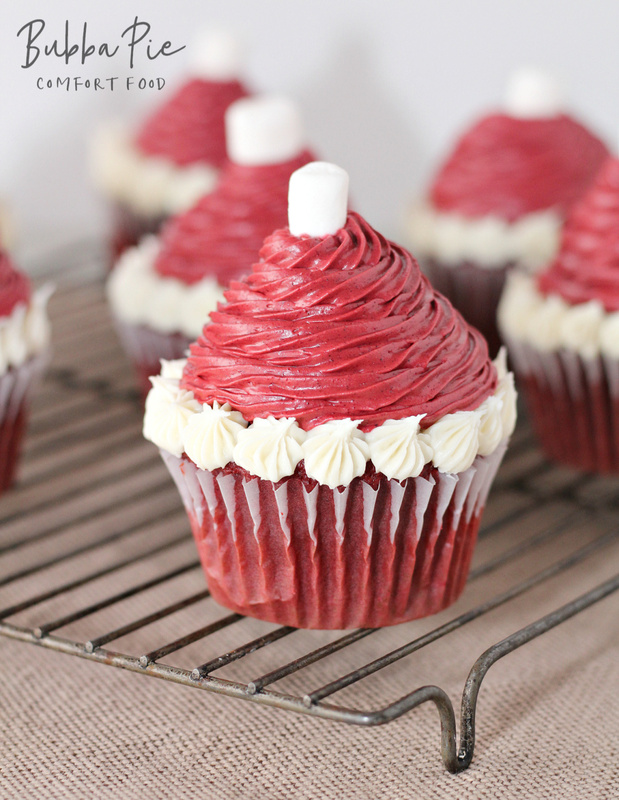 These Santa Hat Cupcakes are just the trick. 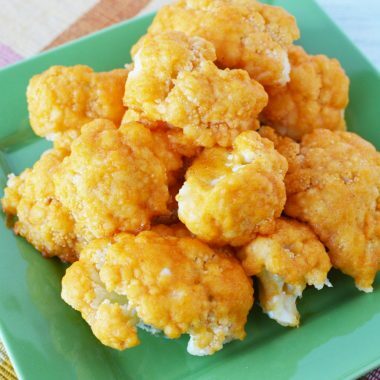 They are so easy to make and they look incredibly cute. 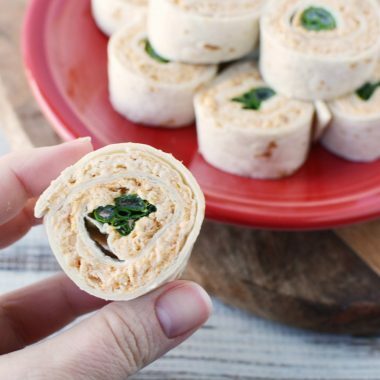 They would be super fun to make with your kids in those school-free days before Christmas. 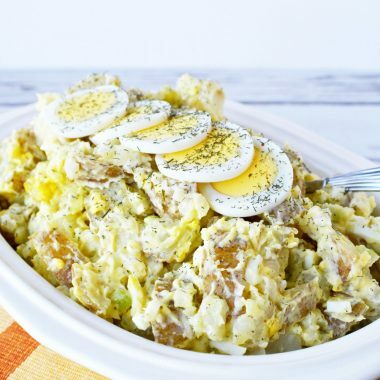 Like a lot of recipes on this page, we like to keep things as simple possible. This means that we can use a Red Velvet Cake Mix to start out with. The true genius of these holiday cupcakes is in the decoration. 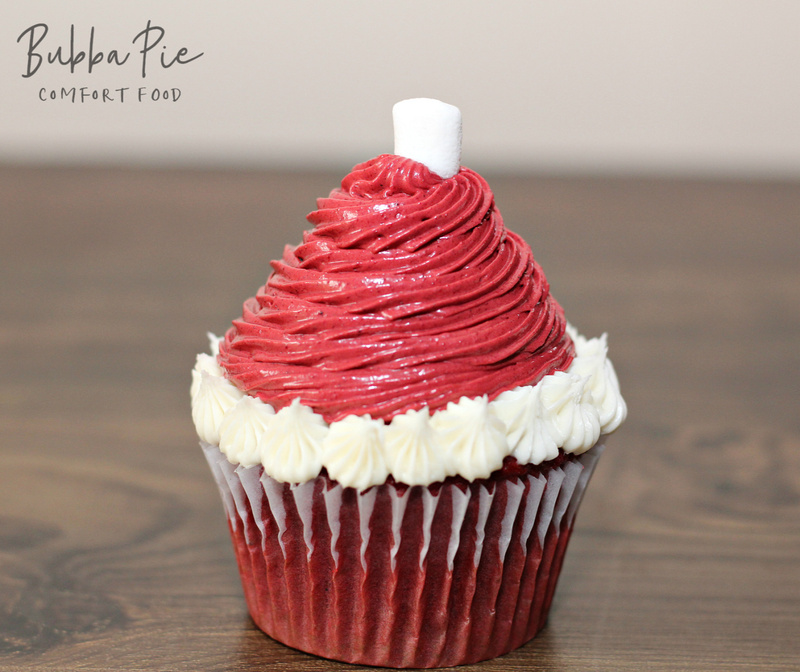 With just a couple tubes of white and red icing, you will see your Santa Hat cupcakes start to take shape. 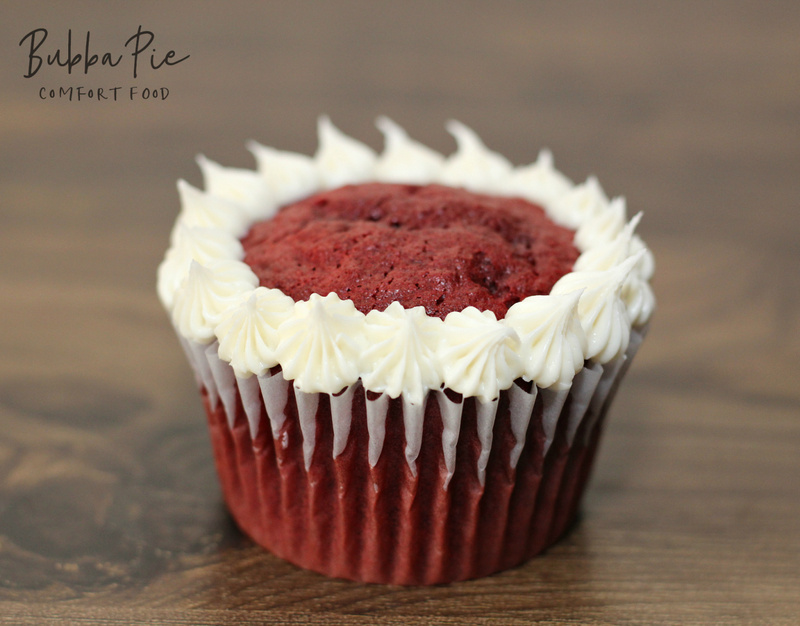 It is super simple after you follow the directions on the box of the Red Velvet Cake Mix you can start to make Santa’s Hat. The first key is to make sure your icing is red enough. 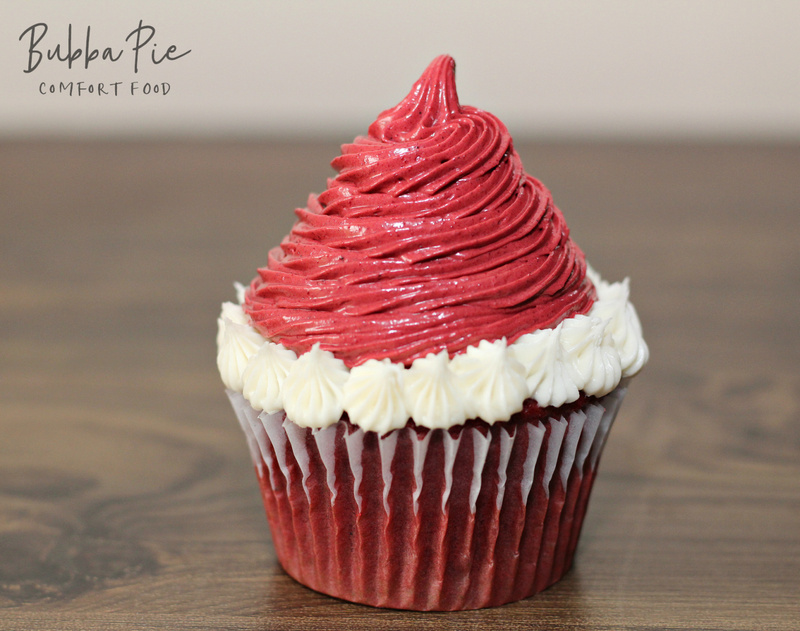 You’ll want to make sure to add enough red food coloring to really get that deep, rich red that we associate with our favorite jolly old elf. I actually add 1/4 cup of cocoa powder to my red icing to darken it up a bit. It also helps to use a piping kit and icing bag to apply the frosting. And, as always, make sure to let the cupcakes completely cool before adding the icing. Next, add a ring of white icing around the edge of the cupcake. 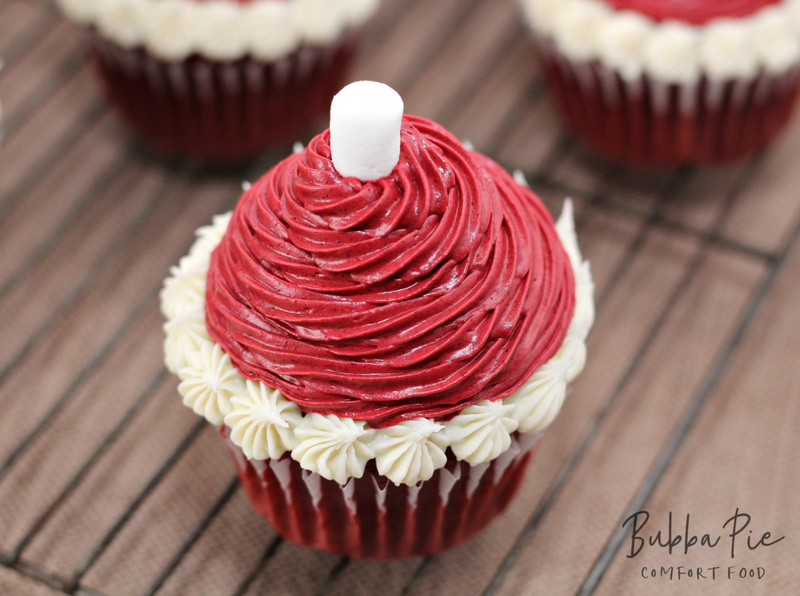 Fill in the center of each cupcake, working your way up, with red icing. You should see your Santa hat take form now. Now, all you have to do is add a mini marshmallow to the top of the hat! Start by preparing your red velvet cake batter according to box instructions. Fill cupcake liners 1/2 of the way full and bake according to box instructions. While baking prepare your red icing. Place 1 tub of white icing in a large mixing bowl. Add about 10 drops of red food coloring (it takes quite a bit.) Mix until well blended with a hand mixer. At this time your icing is probably closer to pink. Add in 1/4 a cup of cocoa powder to darken it up, and mix well. Add in ten more drops of food coloring and mix until well blended. Repeat this process until you have achieved the color red you desire. I chose to use a pipping kit for my icing. At this time I filled one icing bag with white icing, and one with red icing. Let cupcakes cool completely after baking. Start by icing just the outer edge of each cupcake with white icing. 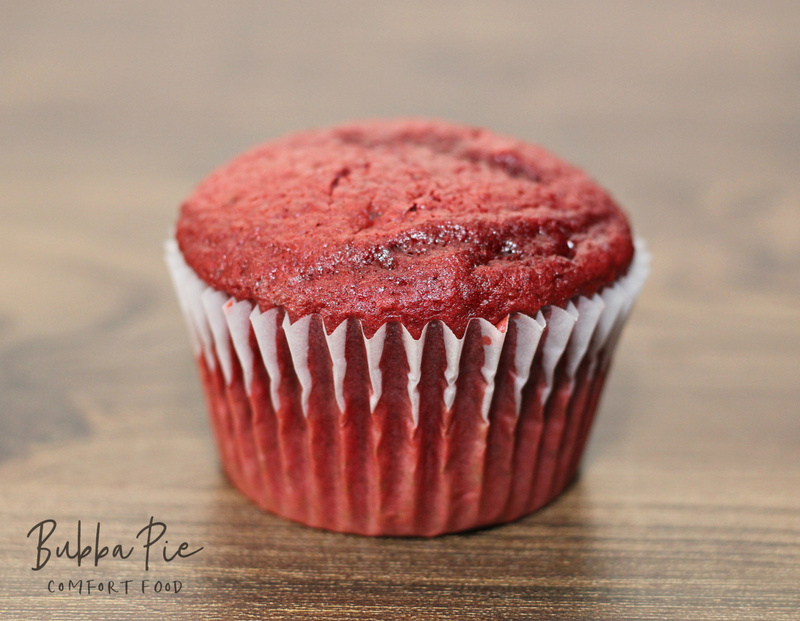 Fill in the center of each cupcake, working your way up, with red icing. You should see your Santa hat take form now. Top each hat off with a mini marshmallow.